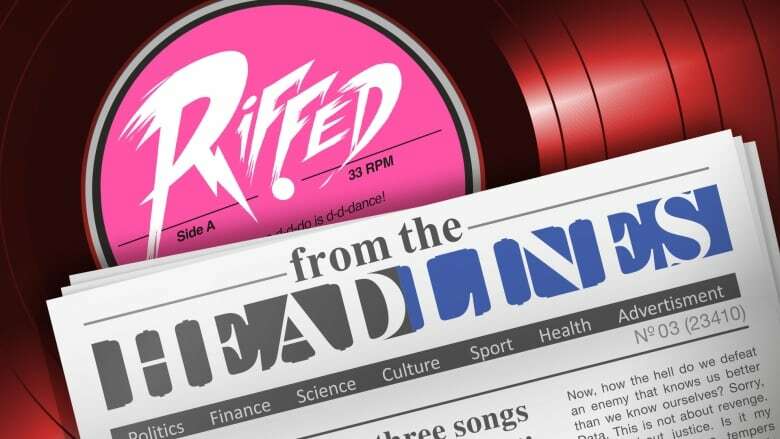 Riffed from the Headlines is our weekly quiz where we choose three riffs linked by one story in the news. Guess the story that links the riffs and you could win a Day 6 tote bag. Last week's clues were Melissa Etheridge with Giant, Jidenna with Knickers and the Arrogant Worms with I Am Cow. Dave Smulders of Vancouver correctly guessed the headline we were looking for: Knickers the giant steer evades the slaughterhouse because of his size. Congratulations Dave! A Day 6 tote bag is on its way to you.